(August 2013) -- Designers and savvy homeowners often turn to acrylic block and decorative glass windows when there is a privacy concern anywhere in the home. These eye-catching windows let in filtered sunlight while preserving privacy. What you may not know, however, is that they are also available as operable windows that welcome in fresh air and improve room ventilation. Hy-Lite®, a U.S. Block Windows Company, offers single-hung, casement, slider and awning windows in a variety of styles, shapes and sizes. Now, with stylish lightweight acrylic block and decorative glass windows from Hy-Lite, a privacy window does much more than just protect your privacy - it also ventilates and adds an abundance of natural light. Perfect for the home remodeling project or new construction structures in zero-lot-line configurations, Hy-Lite windows add a unique, functional design element to homes of any age and style. Operable acrylic block windows are also available with special energy-efficiency options, such as Sunblock® Plus, to reduce your heating and cooling costs and make your home feel more comfortable. If you live in a bungalow or ranch-style home, you may be frustrated with fixed or awning windows that can be clunky and unsightly. Now there is an alternative. Somewhat an industry design secret, casement, awning, single-hung and slider acrylic block windows provide the decorative privacy of traditional glass block and the functionality of an operable window. 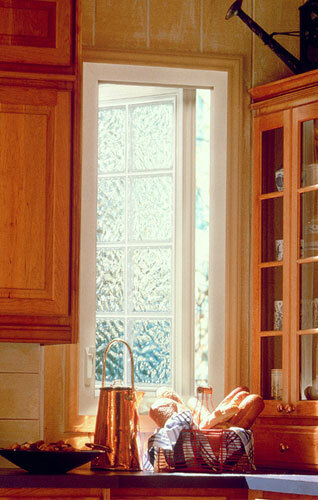 In situations where a kitchen or dining room window faces a neighbor’s driveway or an unpleasant view, a casement or single-hung acrylic block window from Hy-Lite provides privacy and allows in fresh air as needed. For a master bath suite or guest bedroom that faces a busy street or public area, decorative glass privacy casement and awning windows can provide the elegance and fresh air you want. These stylish decorative glass windows are triple-paned for energy efficiency and pre-framed in heavy-duty architectural-grade vinyl. Fresh air and sunlight add the finishing touch to a home, making the rooms inside feel bigger, lighter and more inviting. Check out the extensive Hy-Lite product line to find the right operable window to complement your unique style.